Acme Official Guides Whistle 47.5. This whistle is 5.2 cm long (2.05 inches). It's smaller than the Acme Official Scouts whistle. The mouthpiece allows it to be gripped by your teeth or lips. Made of nickel plated brass. 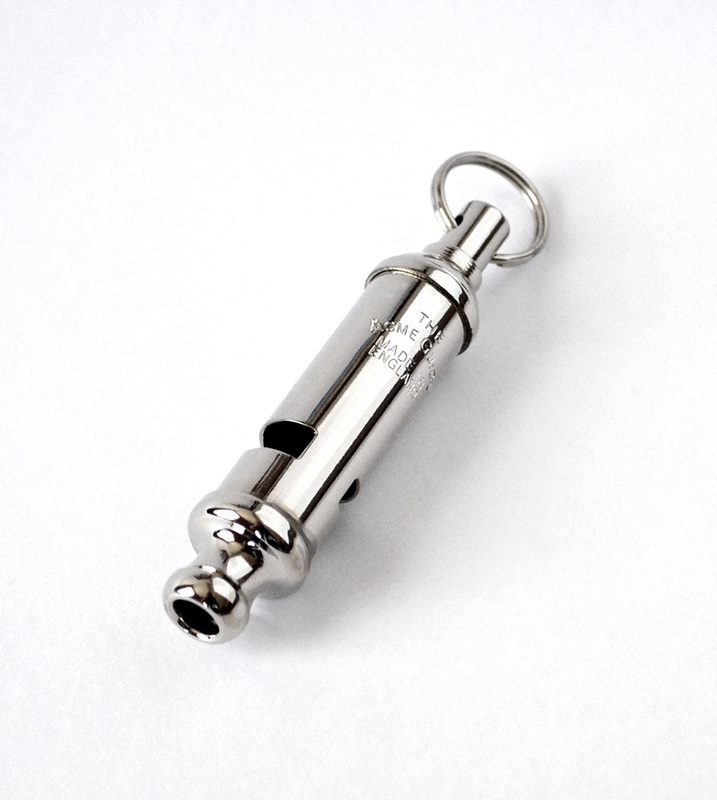 49.5 Scouts Whistle(larger whistle) is available under item wa-49.5 . Click here to order it.